Since the second half of 2011, there has been a rapid development of ‘top-down changes’ in Burma (Myanmar), which aimed at democratisation and economic liberalisation. While these changes have resulted in positive achievements that are desired by the international community, such as the release of political prisoners and the abolition of pre-censorship, a number of negative phenomena have arisen as well. One serious problem is the conflicts among different religions, as can be seen, for example, in Buddhists’ attacks against Muslims. This article considers the background for these conflicts in relation to the problems in Burmese people’s understanding of history through the existing nationality law that came into force in 1982, which reflected a form of highly exclusive nationalism. 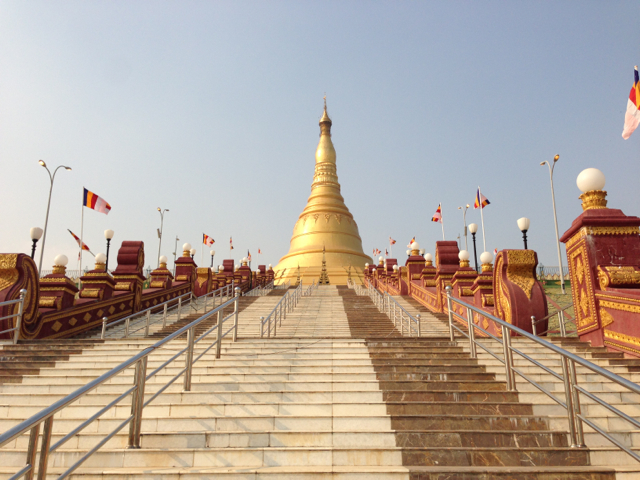 Burma, which became independent from Britain on the 4th of January in 1948, has been emphasising the importance of Theravada Buddhism and the Burmese language. It has also been stressing, through descriptions of its national history, the point that the Burmese historical homeland lies in the old imperial city situated in the central plain, as well as the significance of achieving independence by overthrowing the rules of British imperialism and Japanese fascism. What is behind this self-image of the country is Burmese nationalism, which was the ideological basis of the struggle for independence from Britain as the colonial power and Japan as the occupier during the Second World War. During the struggle for independence, the establishment of the ‘nation of the Burmese (i.e. the ethnic majority) and Burmese culture developed by them’ was emphasised. The self-image of the country based on this Burmese nationalism was consistently made explicit through public education and government publication material during the process of post-independence national integration as well. As a result, non-Theravada Buddhists (a little over 10% of the population), groups of people whose first languages were not Burmese (about 30%), and those who did not have a special emotional connection with the central plains of Burma (about 30%) were positioned in the ‘periphery’, which had become a factor that caused minority ethnic issues and religious problems (i.e. religious conflicts). It can of course be pointed out that the economic inequality between the capital and the provinces (especially the states of ethnic minorities) and the attitude to contain the claim of religious minorities were also significant factors in the issues around ethnic minorities (See Table 1 and 2 for the percentages of the population of Burma according to ethnicities and religions). Note: Both Table 1 and 2 are based on the census conducted in 1983. A new census is planned to be conducted this year (2014), for the first time in 31 years. In Burma, 135 ethnicities are officially approved as ‘indigenous’ by the government, and they are automatically given Burmese nationality. The criterion for being ‘indigenous’ is determined by the (revised) nationality law (the Citizenship Law), which was enforced in 1982. That is, people who had already lived in Burma prior to 1823, which was the year before the First Anglo-Burmese War (1824-26) started, are seen to be ‘indigenous’, and those who settled in Burma after 1924 are treated as ‘non-indigenous’. According to this nationality law, people in Burma are divided into formal ‘citizens’, i.e. the 135 ethnicities who had been living in Burma since before 1923, quasi-citizens who acquired nationality based on the first nationality law, which was enforced in the independence year of 1948 (mainly Indian, Chinese, and Anglo-Burmese people), and ‘naturalised citizens’, i.e. foreign people who were legally naturalised. Although ‘Quai-citizens’ and ‘naturalised citizens’ are upgraded to ‘citizens’ after three generations, until then, they are treated unfairly; for example, ‘quasi-citizens’ or ‘naturalised citizens’ are not allowed to be in a management position of the civil service, and they are not entitled to study at the department of Science and Engineering or Medical Studies of universities which receive a considerable amount funding from the national budget. Although these ‘restrictions’ are not regulated in nationality law, it is an undeniable fact that the distinction stated by nationality law have been ‘abused’ as discrimination against these groups of people has actually occurred. In addition, although those who have settled in Burma over three generations are approved as ‘citizens’ when a public office issues a national registration card, it is prohibited to write ‘Bamar’ in the section which states one’s ethnicity if a person who claims his/her identity as a Bamar is a Muslim or looks like Indian or Chinese. Most Burmese people today have no doubt about this criterion of ‘1823’, which is stated in nationality law. However, if we consider this criterion from a historical perspective, it is a mere illusion which was produced by Burmese nationalism because, since the era of the Burmese empire in the late 18th century (The Konbaung Dynasty, 1752-1885), Muslims, Hindus and Christians, and, in terms of ethnicities, Chinese, Indians, Afghans, Persians, Armenians, and Portuguese, have been living together with Theravada Buddhists in the imperial city. It should also be noted that they were not transients but residents who had been living in Burma over many generations, approved and protected by the then royal authority. The royal authority at that time did not divide its subjects based on ‘ethnicities’ or ‘religions’; they recognised the difference between the groups in terms of how strongly the royal authority could reach them. Therefore, the idea of dividing or discriminating subjects based on what is called ‘ethnicities’ hardly existed at that time. The classification of people based on ‘ethnicities’ was introduced in the late 19th century, when the colonial rule by Britain started. Since the beginning of the 20th century, the act of distinguishing indigenous people based on ‘ethnicities’ had come to be seen as a matter of course among the societies in Burma, particularly among those who received modern education under colonial rule. With such a tendency, Burmese nationalism, which aimed to overthrow the colonial rule and build a new independent Burma, was born and gathered strength, led by Bamars who had developed the awareness of being the historical majority. In this nationalism, great importance was attached to ‘Theravada Buddhism’ along with the ‘Burmese language’, which were seen as the cultural core of Burmese people. As discussed above, it can be confirmed from historical sources that Muslims in Burma settled in the area since the late 18th century at the latest, during the era of the Burmese Empire. Despite this fact, Muslims were ‘memorised’ by Buddhists, who were mostly Bamars, as ‘non-indigenous’ people from India who had migrated to Burma since 1824. As a consequence, they were ‘marginalised’ and implicitly required to ‘keep quiet’ as a minority group of the ‘country of the Burmese language and Theravada Buddhism’. Here, it is worth considering how such memories among Bamar people were generated. During the period of British rule, there was an influx of Indian immigrants into Burma, ranging from 140,000 to 420,000 people every year, which resulted in the situation that Indian people had come to account for more than half of the population in Rangoon by 1931. In addition, there is a ‘fact’ that a caste group of people called Chettiars, who were engaged in the finance business, lent money to Burmese farmers and seized their collateral land, land later marked as having an absentee landlord in the event that they could not return the money. It can be said that factors like this example generated anti-Indian sentiment and strengthened Burmese nationalism among Theravada Buddhists. In 1930 and 1938, large-scale anti-Indian riots occurred within the country. An interesting point about these riots is that the antipathy towards Indian Muslims, whose religion did not have a connection with Buddhism, was stronger than that towards Indian Hindus, whose religion had some commonalities with Theravada Buddhism. The government of British Burma, which had acquired a certain level of autonomy under the Government of Burma Act enforced by Britain in April 1937, attempted to restrict immigration from India given the aftermath of the anti-Indian riots in 1938 and a strong desire for such restrictions shown by Burmese politicians. In such an attempt, even the restriction of marriage between Burmese women and Indian immigrants was proposed, but what is notable is that the focus was centred around the sense of danger and fear towards Muslim immigrants (however, none of the proposed restrictions were implemented). If we examine historical evidence, however, it can be found that the number of Indian immigrants who actually settled in Burma was not outstanding, as most Indian immigrants at that time were ‘expat workers’ who went back to India after about three years. Furthermore, it can hardly be said that Chettiars were ‘loan sharks’ because the interests they imposed were 15% per annum with collateral land and 60% per annum without any collateral. It should also be noted that they did not lend money to Burmese farmers for the purpose of being landowners in the rural areas of Burma. However, these historical facts have been forgotten through the discourses of ‘anti-Chettiars’ and ‘anti-Indians’, which were emphasised by the Burmese nationalist movement which gained strength since 1920s when a number of farmers were downgraded to ‘agricultural workers’ who did not own any land. After independence in 1948, Theravada Buddhists and Muslims have been coexisting without fatal confrontations, which is partly because of the harmonised way of living of Bamar Muslims who ‘Burmised’ themselves through their language and styles of clothes. Nevertheless, marriage between Burmese Buddhist women and Muslim men has been regarded with hostility, as it was in the time of colonial age. 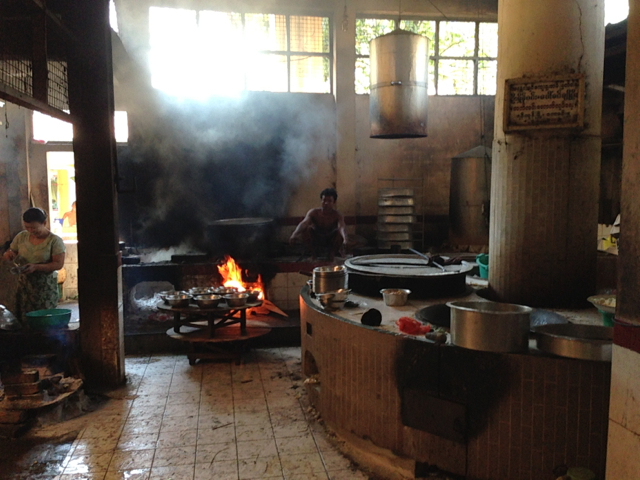 It is difficult to say that close ties were born between these communities. Since the 1990s, Wahhabism, which had become more influential along with the international rise of Saudi Arabia, has started to impact Burma as well. As a result, some younger-generation Burmese Muslims have begun to emphasise their Islamicness through clothes and other media, which has heightened the Buddhists’ ‘fear’ of Muslims. Furthermore, once the suppressive public order was loosened following the end of military rule and current changes towards democratisation, some Buddhist monks started to openly criticise Islam, which agitated anti-Muslim sentiment among Theravada Buddhists. Given this, the current government tries to put the brakes on anti-Islam movements by prohibiting the political use of religion based on the regulations stated in the present Constitution. However, it is far from the case that such governmental attitudes have been consistently reflected, as can be seen from the anti-Rohingya and Muslim riot that occurred in the northern Rakhine State in June 2012 (in which more than 200 people died) and another anti-Muslim riot occurred in Meiktila in March 2013 (which claimed 43 lives). Although the police turned up at the sites of riots, they remained on the sidelines and did not try to stop them, and it was only after the armies were sent that the mobs were quelled. It should also be noted that the administrative institution of the site keeps secluding Rohingya and Muslim victims under the plea of ‘protecting’ them. As mentioned above, the idea of dividing the ‘indigenous’ and the ‘non-indigenous’ based on the year ‘1823’ cannot be seen as something that has been unilaterally imposed on people by the government/nation, since those who are categorised as indigenous ‘citizens’, including both Bamars and non-Bamar ethnic minorities, accept this criterion without question. What represents such attitudes is the exclusive feelings of Burmese ‘citizens’ against Rohingya, a Muslim group of people who live in the northwest of Rakhine (Arakan) State situated in Western Burma. The term ‘Rohingya’ as a name of an ethnic group has appeared in literature only after 1950. However, historically speaking, there were a number of Muslims in the Kingdom of Mrauk-U, who flourished in the area between the 15th and 18th centuries. They established a basis for Muslims who moved from Bengal (current Bangladesh) to Burma after British rule started in the 19th century and also during the chaotic period around the time of the establishment of independence. After the Second World War came to an end, some of these Muslims from Bengal started claiming an identity as Rohingya, an independent ethnic group. In this sense, Rohingya could be seen as a ‘new’ ethnic group; however, Rohingya themselves perceive that they have a long history. Most Burmese citizens today do not accept Rohingya as an indigenous ethnic group; they see them as ‘illegal immigrants’ who migrated from Bengal after the end of the Second World War. Therefore, even if a number of Rohingya had to become refugees because of the suppression they experienced, Burmese citizens tend to see it just as somebody else’s issue. In addition, there are many people who do not even approve of the use of ‘Rohingya’ and call them ‘Bengalese’ instead. In particular, many of Rakhine (Arakanese) people frown upon the word ‘Rohingya’. This is not only because Rohingya people are seen as ‘illegal immigrants’, but also because they are religiously and racially discriminated against for the reason that they are the most conservative Muslims in Burma and have markedly different looks from indigenous ‘citizens’. What is underlining these attitudes is the Burmese majority’s historical understanding that ‘Rohingya people had not lived in Burma prior to 1823’, which seems to reflect the Nationality Law of 1982. 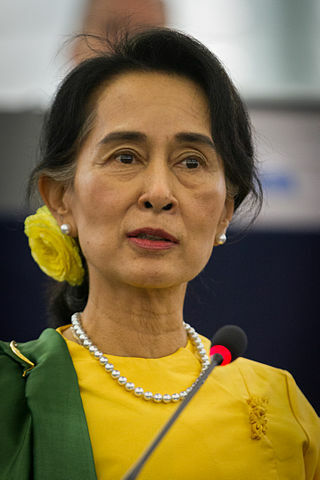 Aung San Suu Kyi, who entered the political arena as a member of the lower house in April 2012, proposed an immediate cessation of violent acts and a re-examination of the Nationality Law of 1982, given the large-scale persecution against Rohingya that occurred in August 2012. This proposal caused loud jeering from people in Burma including those who were her strong supporters, and Burmese communities overseas also criticised her. This was because, in their views, ‘Aung San Suu Kyi took the Rohingya’s side’. What she emphasised was the need for reconsideration of the irrational definition of ‘citizens’ stated in the Nationality Law of 1982 (i.e. the 1823 divide) and the way of classifying ‘citizens’ into three categories. Burmese people, however, criticised Aung San Suu Kyi, prioritising their exclusive nationalism that clings to the ‘illusion of 1823’ over her liberal way of thinking. Given this, it may be no exaggeration to say that the future of Burma depends on how much they can consciously control the extreme exclusivity that lies in their nationalism. Reconsideration of the nationality law will definitely be a first step to the realisation of such control. Having seen the current situation, however, it is somewhat questionable how soon such change can actually be instigated. 2 Comments on "Exclusive nationalism of Burma (Myanmar) represented by its nationality law"
Good arguments. Some comments: Today’s “Myanmar” can be regarded not (yet) as a nation comprising of a variety of ehnic groups with a common identity. The Burmese words for “nation” still seems to refer to ethnic-racial connotations and not to an “imagined community” in Benedict Anderson’s sense. Therefore, the reference to 1823 in the Burmese citizenship law – which was taken from the regulations of 1948! – can be seen as a kind of stopgap to include other than B’ma “nationals” in the Union of Burma and waiting for the time that the inhabitants of the country one day might have achieved a common nationality. Besides, it was the Western concept of a nation with fixed boundaries that must be regarded as one of the main ingredients to the hodgepodge of factors contributing to the current situation in Myanmar.